Clothes to Good was founded by Jacendra (Jesse) Naidoo in 2011. 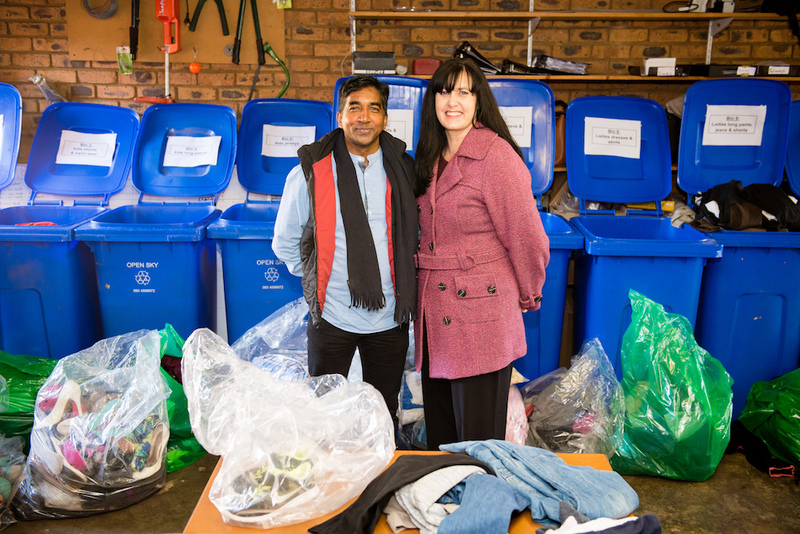 This is a hybrid social enterprise consisting of Clothes to Cash Exchange (Pty) Ltd and Life Link 24/7 Cares NPO which provides sustainable jobs and micro-business opportunities for people with disabilities and their families through a clothing recycling programme. Last month, during the recent SAB Foundation Social Innovation and Disability Empowerment Awards 2018, Clothes to Good was the overall winner for the Disability Empowerment Award taking home R1.2 million in funding. According to Jesse, Clothes to Good was started ‘unintentionally’ while he was trying to raise funds for his golf caddy of 10 years who had lost his job at the golf course. After contacting his son’s school about a second-hand clothing drive to raise funds, the school brought in over four tonnes of clothes which he bought from them so they could have funds to complete a library at another school. This is how the Clothes to Good business model started. He realised that this business model could evolve to exit people from poverty. A year later, Jesse met a social entrepreneur who opened his eyes and educated him about the huge challenges people with disabilities face when trying to find employment in South Africa. He then decided to include people with disabilities in his programme to empower them with meaningful, purposeful and paid work. Through all the financial challenges that Jesse faced, he never gave up on his dream to empower people living in poverty. Last year, he applied for the SAB Foundation Social Innovation and Disability Empowerment Awards after partnering with Tammy Greyling, an Occupational Therapist who is passionate about employment for people with disabilities. A few months later he received confirmation that as a team, they were accepted into the programme. “When we received the news, we felt really blessed. After eight years of failures and successes, we were so relieved and thankful”, says Jesse. When asked how it felt like the moment Clothes to Good name had been called at the recent Social Innovation and Disability Empowerment Awards, he said “I didn’t initially hear our name called! It was only when my business partner, Tammy grabbed my arm and said, “Let’s go” that it dawned on me we won, describes Jesse. He says that the funding will also assist Clothes to Good in expanding the new ECD project where toys are made from unusable clothing and other recyclable materials to empower teachers/caregivers through training and children through more educational resources. They also plan to expand their operations to Durban and Cape Town within the next three years. Jesse encourages people who have a similar dream of starting their own business to go ahead and take the risk and not back down when they experience failure along the way. “A person who fails in business is probably the best person to invest in. Those failures have given them skills that can’t be taught in business school. They also have what many people lack, the courage to try and the passion to succeed”, Jesse explains.